Alrighty – Everyone who owns a laptop. There is something you need to STOP doing right now. This is seriously important stuff. If you have an external mouse or use a thumb drive often, or any USB device that hangs from one of your USB slots, no matter how small that device is, take it OUT of the USB port BEFORE you put the laptop back in your case or backpack. If a USB wifi sender for a mouse, or a USB thumb drive, or anything USB at all is sticking out of the body of your laptop and that device takes a hit, it will tear the USB port off the motherboard and short out the 5-volt wires that live inside the port against the motherboard or cast. You can kill the motherboard that way, or damage it badly enough that repairs do not make sense. It doesn’t matter if it’s a brand new Alienware Core i7 or a ten-year-old HP Dual Core PC. 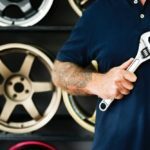 The results are the same, the only difference is the cost to replace the computer. DO NOT leave thumb drives or wifi mouse senders plugged into your laptop’s USB drives when you put the computer back in the case. Unless, you’re in the market for a new laptop, of course. By the way – this also goes for laptop power supply plug too. 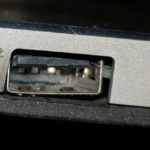 Same end result – if you carry your laptop around with the plug hanging out of the side you run the risk of tearing the charge port off the motherboard. Same end result. If you are not looking to purchase some new hardware, please keep this photo in mind. 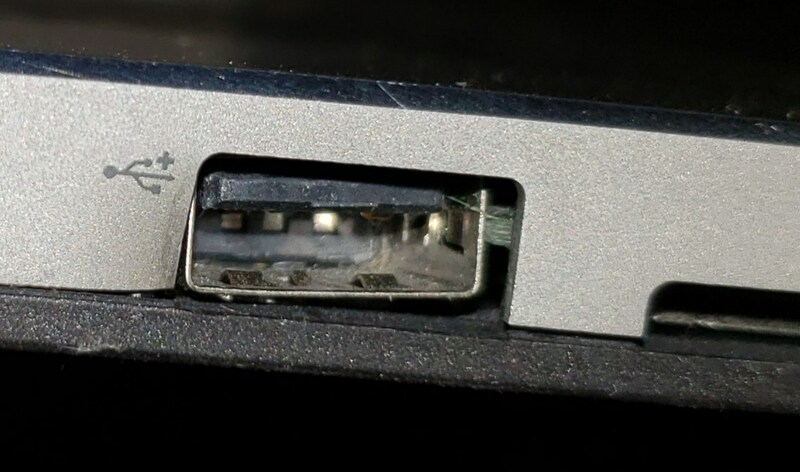 Note the bent casing around the outside of the port – you can see it’s pushed in knocking the USB port off of its solder points on the laptop’s motherboard. Please remember to unplug before you pack up. This happens far too often. ← New Year, New Updates, New Issues.